Hello everyone I wanted to take some time, and show of this months newness! Let’s start with our beloved Barnyard Birds, starting September 1st thru September 30th breed any two birds with the Gem Sapphire Beak and have a chance at the new September Sapphire Bird! This breed DOES NOT have the ability to pass, but the all new eye DOES. 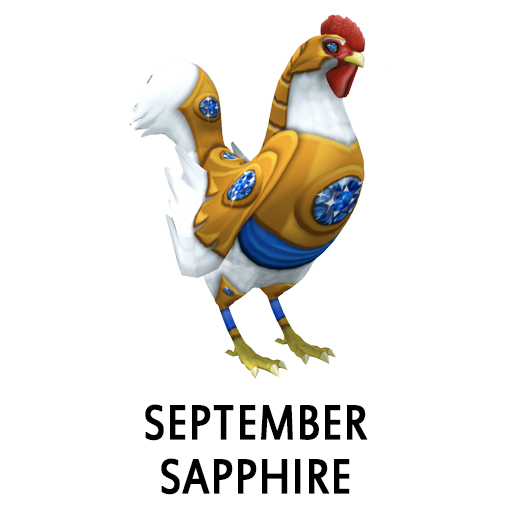 Check out this September Sapphire Bird! Now on to the K-9s. 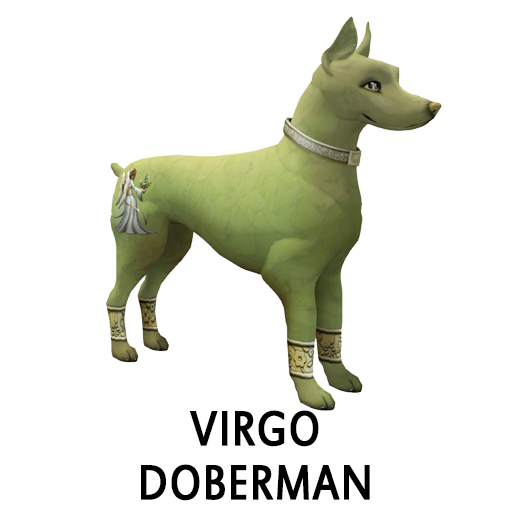 From September 1st thru September 30th when you breed any K-9 with the Virgo Sapphire Eye with ANY color Doberman you will have a chance at getting the new Virgo Doberman! The coat DOES NOT have the ability to pass, but the all new eye and collar DOES. Check out this Virgo Doberman! 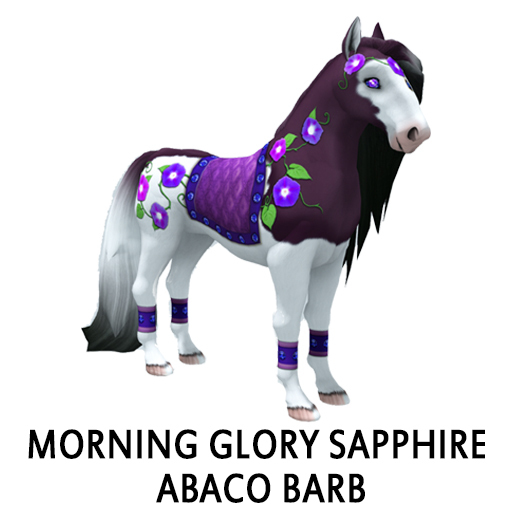 Last and certainly not least the horses, from September 1st thru September 30th when you breed any horse with a Morning Glory Sapphire Eye to any color Abaco Barb you will have the chance at a Morning Glory Sapphire Abaco Barb! This beautiful coat DOES NOT have the ability to pass, but the all new eye DOES. Check out this Morning Glory Sapphire Abaco Barb! These are all awesome editions to your breeding pack! I hope everyone is enjoying their Tuesday, Lets remember all those facing tragedy all over the world and in our back yard! Happy Breeding everyone!